The Sovaris Aerospace team of Dr. Michael A. Schmidt and Dr. Thomas J. Goodwin appeared on The Space Show with host Dr. David Livingston (Friday February 1, 2019). The topic of discussion was the application of personalized medicine in spaceflight with a specific focus on pharmacogenomics. Pharmacogenomics in spaceflight involves analysis of the genes that govern drug metabolism, the interpretation of these findings, and the development of drug prescribing recommendations tailored to the individual astronaut. The purpose is to apply greater sophistication in the use of pharmaceuticals in space, so that the effectiveness is optimized and the adverse effects are minimized. This is also one method to enhance performance and mission effectiveness. The show explored the range of topics outlined in the authors’ textbook chapter “Pharmacogenomics in Spaceflight: A Foundation of Personalized Medicine in Astronauts,” which was published in the Handbook of Space Pharmaceuticals (Springer Nature 2019). Schmidt M.A., Schmidt C.M., Goodwin T.J. (2019) Pharmacogenomics in Spaceflight: A Foundation of Personalized Medicine in Astronauts. 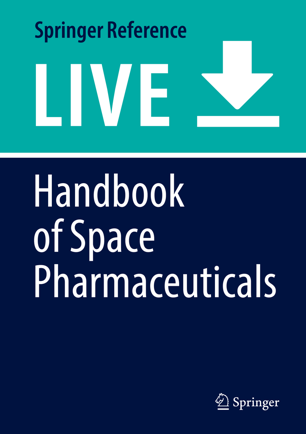 In: Pathak Y., Araújo dos Santos M., Zea L. (eds) Handbook of Space Pharmaceuticals. Springer Nature, Switzerland AG.